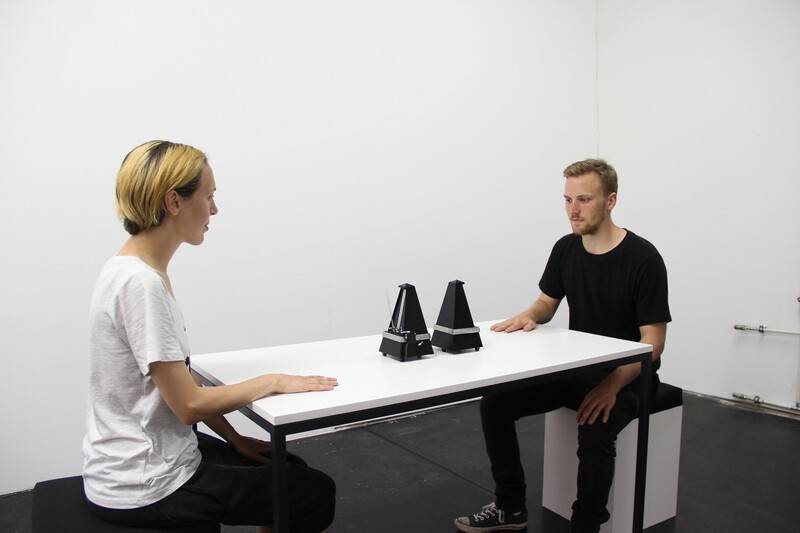 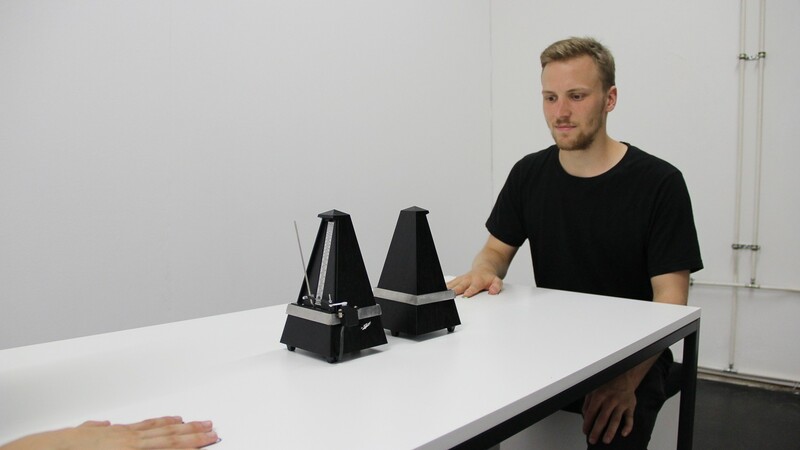 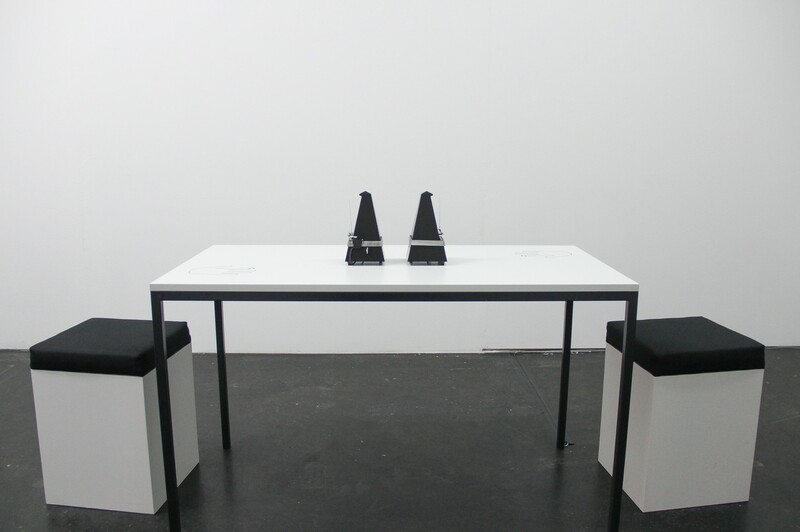 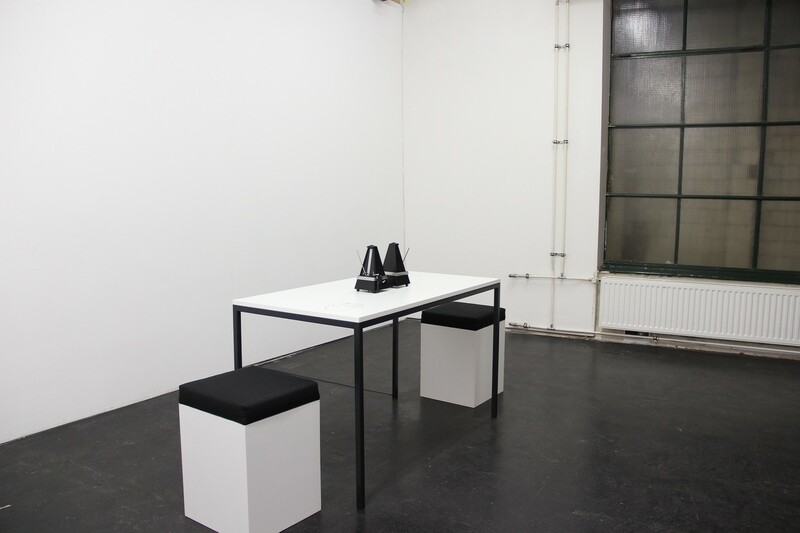 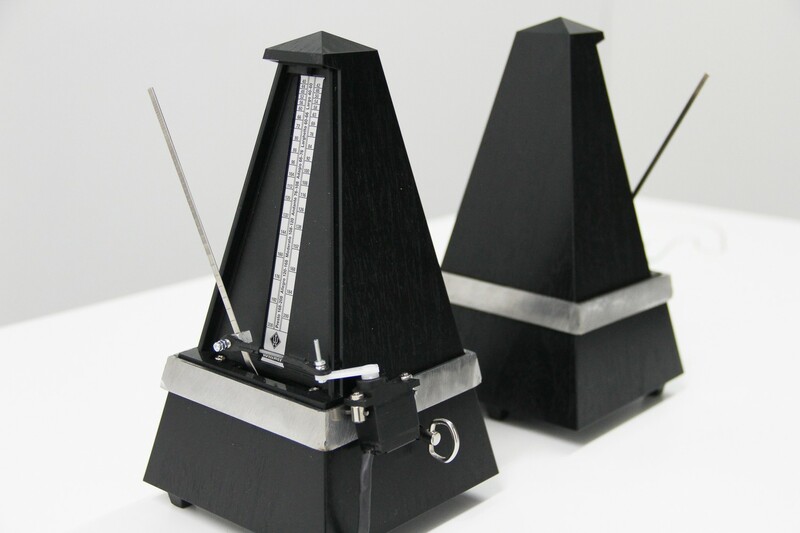 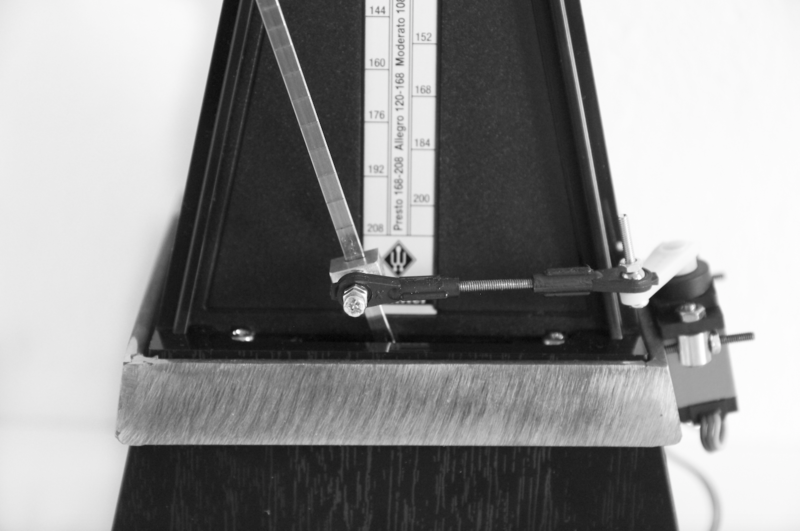 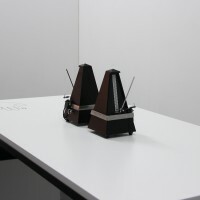 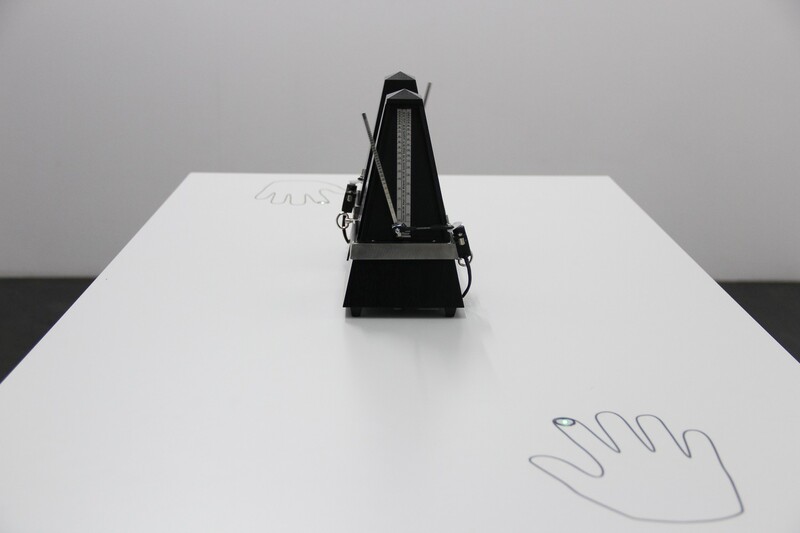 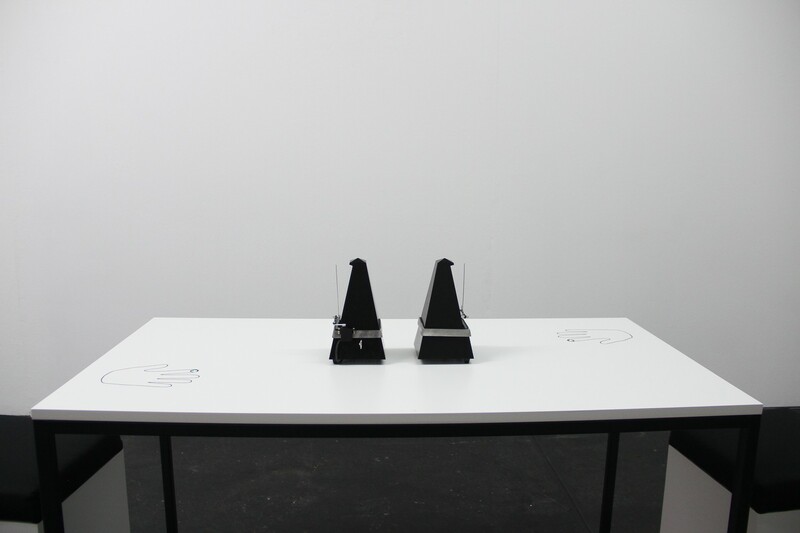 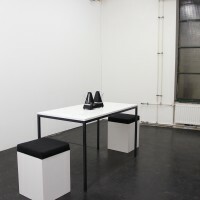 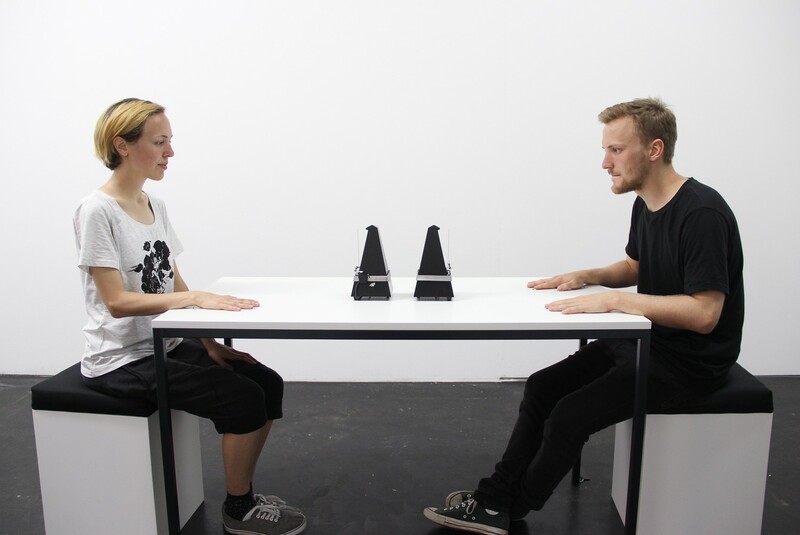 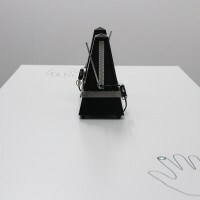 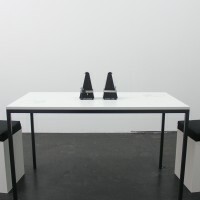 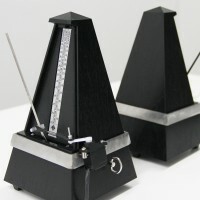 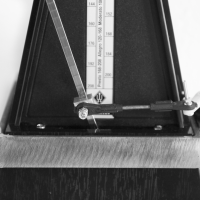 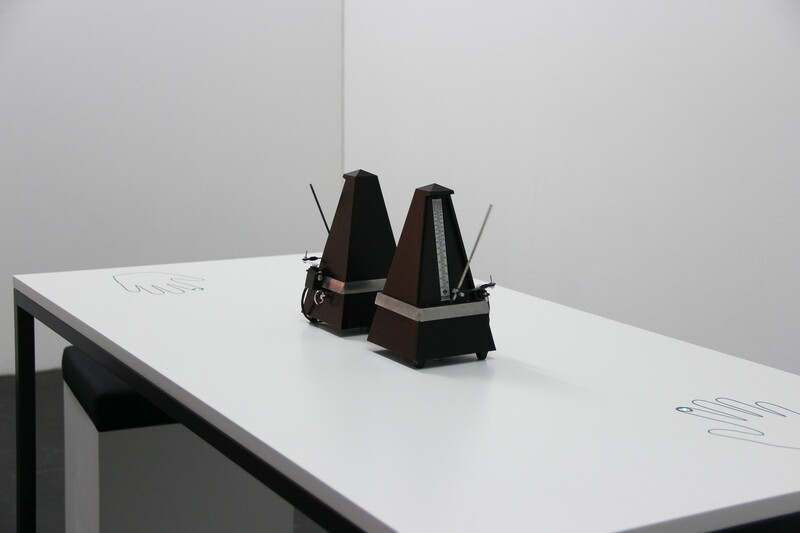 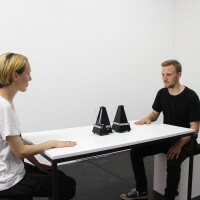 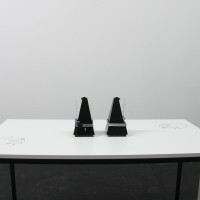 the participatory installation "kardiometron" makes a connection between the human heartbeat and the metronome: heartbeats are detected via pulse sensors, transmitted to metronomes and translated into swings of the pendulum. 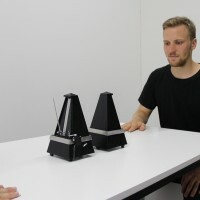 this creates a polymetric construction, which can be perceived acoustically and visually in the interplay with the strokes of the pendulums. 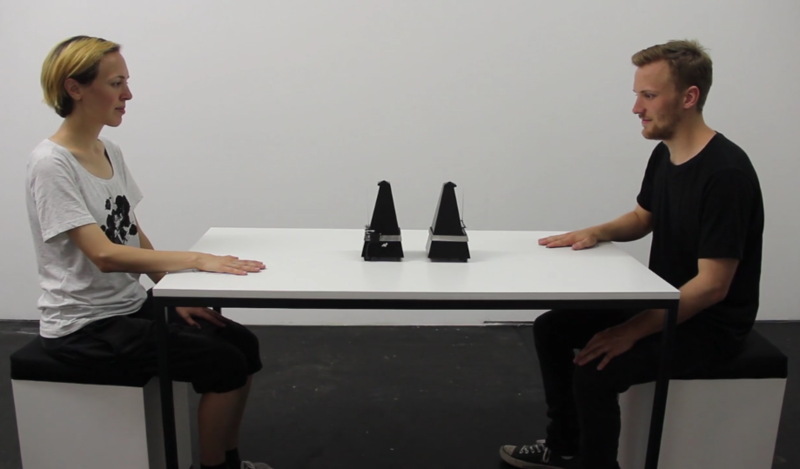 in this way two people can make contact with one another through their heartbeats. 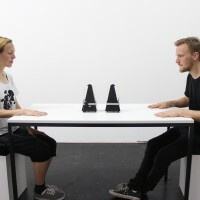 Your browser does not support the video-tag, but you can watch the video on Vimeo!